The State Water Policy 2013 advocates the use of Water ATMs at paces of mass pubic congregation like temples, fairs etc. so as to ensure availability of quality water to the beneficiaries. The Govt. 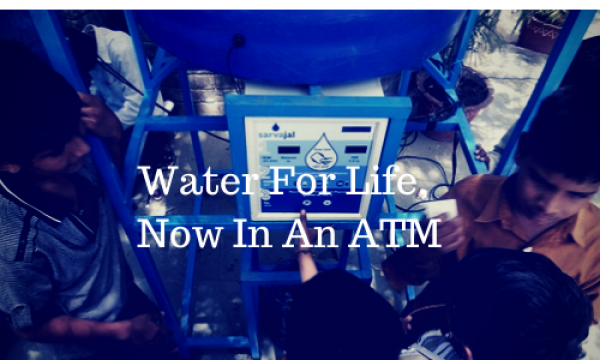 of Himachal Pradesh in its endeavor to provide assured quality water has decided to install Water ATMs at certain fixed locations of the State on pilot basis initially. Ø Fully automated, integrated, purification and dispensing unit. Ø Quality assured by real time remote monitoring. Ø Solar powered, cloud connected and RFID enabled. Ø Affordable price of 50 paisa per liter. Ø No water wastage and no plastic waste. Ø Reduction in water borne disease burden.